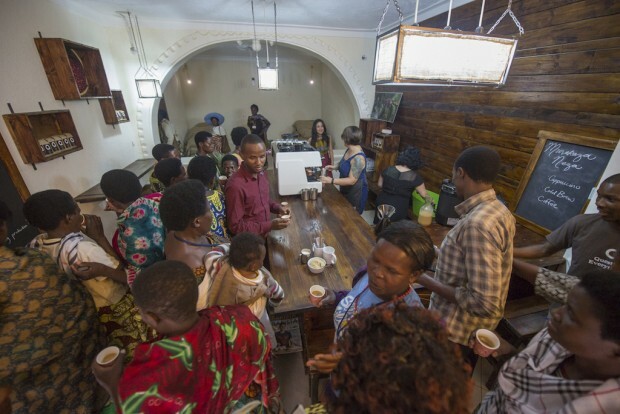 All photos of the Question Coffee Rwanda opening event courtesy of Question Coffee. About a month ago, we shared news of a new brand of roasted coffee spearheaded by the progressive Portland-based green coffee importer Sustainable Harvest called Question Coffee — a coffee whose entire supply chain is either B-Corp certified or eligible for certification at every link, from the farm clear to the grocery shelf. 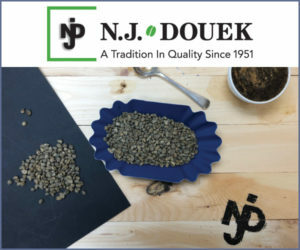 The origin in question, so to speak, for the first iteration of the product was the Dukunde Kawa Musasa cooperative in the Gakenke district of northern Rwanda. 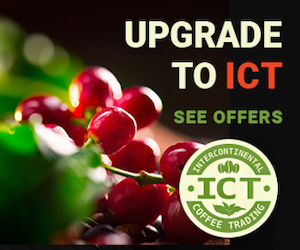 Sustainable Harvest imported the beans, Equator Coffees and Teas roasted it, and the New Seasons grocery chain was the retailer, B-corp certified institutions, all. 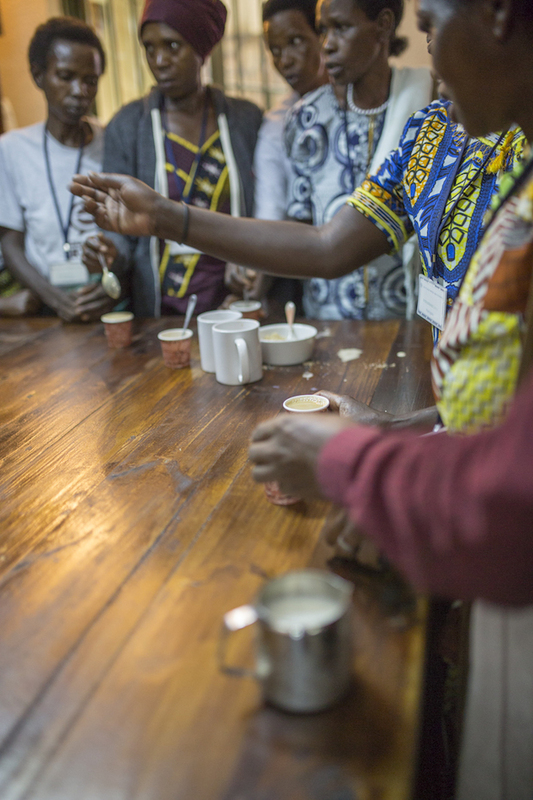 As it happens, Sustainable Harvest’s Let’s Talk Coffee series of professional coffee industry events also just took place in Rwanda, from November 10-13. The LTC event, called “Best of Rwanda,” brought together roasters, producers and other coffee industry stakeholders for four days of conversations, presentations and networking towards the promotion of coffee in Rwanda, with a special focus on strengthening the supply chain through greater assistance and support for smallholder farmer women. Sustainable Harvest, Equator and New Seasons all had representatives speaking on panels during the event, among other broadminded coffee-related companies. It was therefore an ideal moment for Team Question to continue its productive collaboration by establishing a permanent, high-quality brick-and-mortar café in Kigali, Rwanda, called the Question Coffee Café. 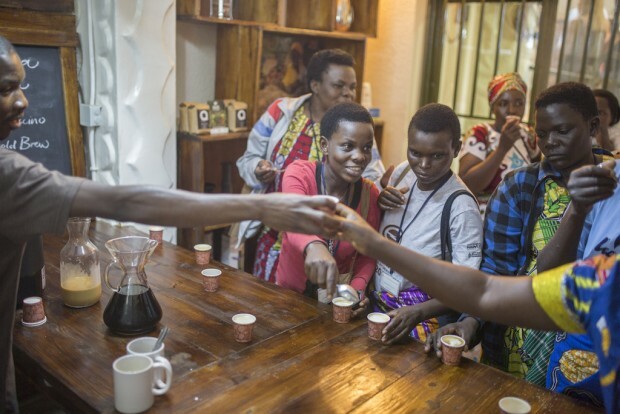 The café not only serves Question-brand specialty coffee drinks prepared on brand new, high-quality equipment that’s on par with third-wave cafes in places like the US, Europe and Asia, but it also extends the brand’s efforts to directly support farmers in Rwanda by adding barista training on top of the training they also receive in the fields. Though not an idea that was contingent on the conference — Question would have pursued the project in absence of the event, and hopes to do so in other locations as future coffees come together — the collaborators did hasten to pull the café together in time for a sort of sneak-preview opening. 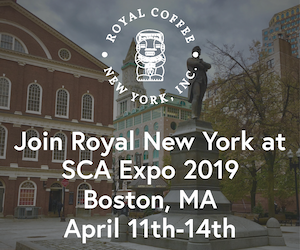 In a press release, Question indicated that its mission will soon extend from Rwanda into coffee-producing countries in Latin America, and will expand its partnerships to include Toronto’s Reunion Island Coffee, San Diego’s Cafe Moto, Portland’s Nossa Familia Coffee and Pasadena, Calif.’s Jones Coffee. From idea to fruition, the café was set up in a matter of only a few weeks. Despite that flurry of development, the café, which is still under construction, was finished enough to offer seating for about 15 people and serve scores more in time for the planned field trip of LTC attendees on the evening of Friday, November 13. Between indoor and outdoor seating areas, the finished café will soon seat about twice that many people. Behind the hearty wooden bar is a bright white two-group Dalla Corte Evolution backed up by a Mahlkonig K30 Vario grinder. Pourover options including Clever Dripper, AeroPress and Chemex, by way of a Bunn G3 bulk grinder. Alexandra LittleJohn and Devorah Fralach from Equator Coffees and Teas arrived in advance of the opening to provide barista training to the resident Question Café staff, and were present also to work the bar during the event. Their trainees will be the local barista staff going forward. is there any BARISTA Trainig centre? is there any BARISTA Trainig centre, where we can be certified?